Unless you're James Cameron, it's hard to imagine that your movie is going to end up in the top three highest grossing films of all time. The cast of 'The Avengers' certainly didn't. With 'The Avengers: Age of Ultron' set for release in parts of the world this week, Robert Downey Jr. took some time to talk about his role as Tony Stark/Iron Man - the character who started the whole Marvel Cinematic Universe back in 2008. But, as it turns out, when the cast got together in 2012 to film the first 'Avengers' movie, none of them really knew just how big it would turn out to be. "I don't think any of us really expected how huge the first one would be, so it can almost intimidate you a bit because you're like, 'Oh, well we were just kinda hoping it would work out', and now there's this expectation to deliver". Presumably they weren't expecting the film to become the third highest grossing movie of all time (behind 'Avatar' and 'Titanic') with 1,518,594,910 USD worldwide in 2012. The Vision Actor Paul Bettany Claims 'The Avengers: Age Of Ultron' Is "Biggest Thing Marvel Has Ever Done"
Paul Bettany, who plays The Vision in the upcoming 'Avengers' movie, has been overwhelmed by the size of 'The Avengers: Age of Ultron' set and he's not the only one. Paul Bettany was shocked with the size and scale of The Avengers: Age of Ultron set. The 43-year-old actor has previously had a role in The Avengers Assemble and the Iron Man trilogy as the voice of Iron Man's computer JARVIS but he plays the villain, The Vision, in the upcoming Avengers film. 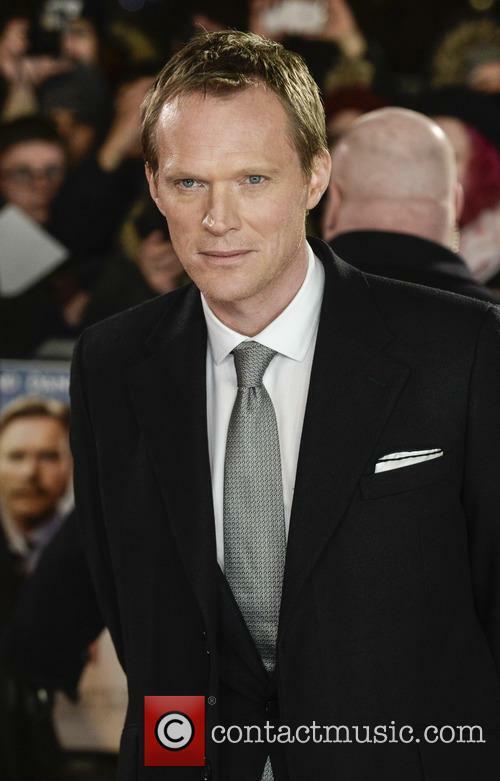 Paul Bettany stars as The Vision in The Avengers: The Age of Ultron. Read More: Paul Bettany Cast As Vision: What Does It Mean For Avengers: Age of Ultron? Continue reading: The Vision Actor Paul Bettany Claims 'The Avengers: Age Of Ultron' Is "Biggest Thing Marvel Has Ever Done"
Who Is 'Doctor Strange' Director Scott Derrickson? The up-and-coming director has been announced the leader of the new Doctor Strange project, but how has he secured the directorial position? As the Marvel juggernaut continues to speed ahead, dispensing a huge array of films and series featuring multifarious characters and an increasing selection of superhuman protagonists, it is no surprise that the comic book giant has announced that Doctor Strange will make his cinema debut in a recently announced eponymous film. The Doctor’s role in the comic books is that of the Sorcerer Supreme- Earth’s protector against threats that are magical and fantastical rather than the orchestrated destruction of standard comic book villains. He has already been the subject of a low budget direct-to-TV film as well as a TV series, but with Marvel Studios financing the project we can be sure that Doctor Strange will be a superhero movie of epic proportions- a visual spectacle certain to be a feast of CGI. 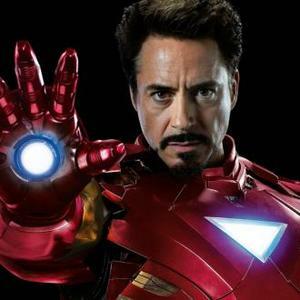 However, other facts hint that the film will take on a darker turn than the likes of The Avengers or Iron Man. 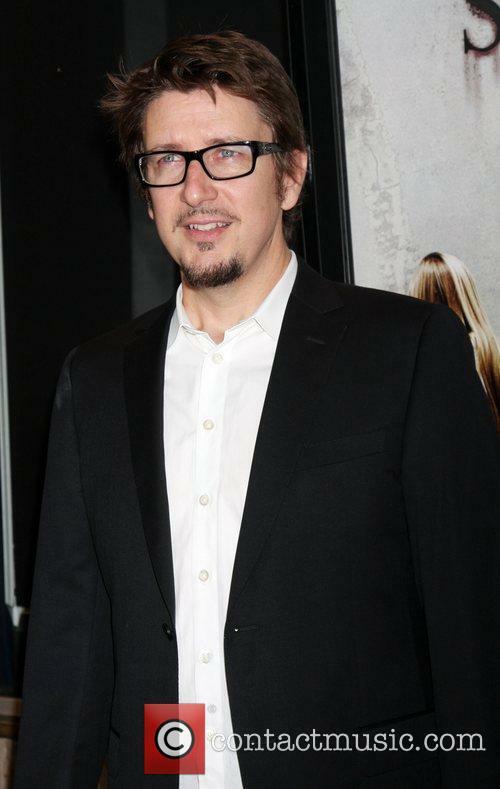 Derrickson has made a name for himself as a horror director able to work on small budgets. But who will take the helm as director of such an imposing project? That accolade has been bestowed upon Scott Derrickson, who will reportedly work alongside producer Kevin Feige- the man responsible for the production of many of Marvel’s blockbuster leviathans, including each of the X-Men, Iron Man and Avengers instalments. Derrickson has been slowly making a name for himself throughout Hollywood as a much respected horror director and his film The Exorcism Of Emily Rose grossed $144 million at the box-office, a hugely respectable figure for a low-budget horror pic. Continue reading: Who Is 'Doctor Strange' Director Scott Derrickson? Elizabeth Olsen appears to have landed her biggest role to date. Elizabeth Olsen will play Scarlet Witch in Joss Whedon's forthcoming superhero sequel Avengers 2: Age of Ultron, according to Nick Fury himself, Samuel L Jackson. Irish actress Saoirse Ronan was originally offered the part, but turned it down, leaving executives eyeing indie-favorite Olsen. Jackson spilt the beans while discussing his cameo on Marvel's Agents of S.H.I.E.L.D with the Wall Street Journal. "I know we're shooting in London, that James Spader is Ultron and going to be the bad guy, and that we added Ms. [Elizabeth] Olsen [who will play the Scarlet Witch], but I don't know what she's doing, if she's on the inside or the outside. I haven't seen a script." Ultron will be the set against the Avengers in the 2015 superhero film. 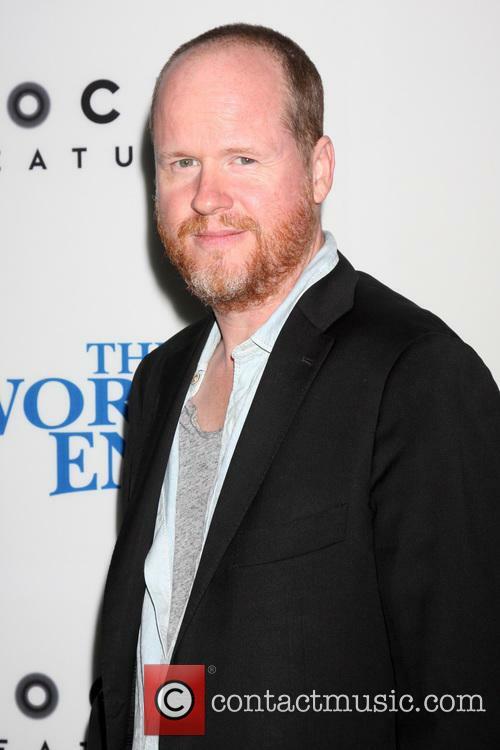 Producer Joss Whedon discussed with an American entertainment website how he humanised a robot with super-human strength and intelligence. 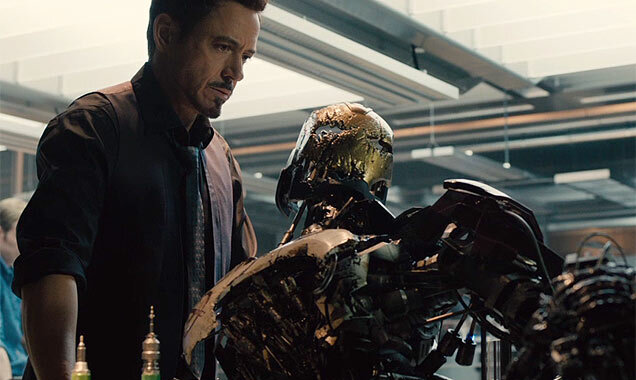 Joss Whedon has chosen Ultron to face The Avengers in the next movie. The hugely anticipated sequel to the 2012 block office sensation is due to be released in cinemas in 2015. Filming of the superheroes film will begin next year. Whedon has discussed how he intends to make Ultron, an omnipotent machine into a character who can interact, effectively, with the superheroes. According to Entertainment Weekly, Ultron is a robot intend on acquiring power, something he will most likely almost acquire before being foiled by the Avengers. His qualities include super-strength, mind control, genius intellect and a coma ray. Joss Whedon at the premiere of The Worlds End in L.A.
Whedon, speaking to the entertainment website, said "I knew right away what I wanted to do with him, he's always trying to destroy the Avengers, goddamn it, he's got a bee in his bonnet. He's not a happy guy, which means he's an interesting guy. He's got pain. And the way that manifests is not going to be standard robot stuff. So we'll take away some of those powers because at some point everybody becomes magic, and I already have someone [Scarlet Witch, a new character] who's a witch." The critics got a first glance at what Agents of S.H.I.E.L.D looks like yesterday, (Sunday Aug 4) when they were treated to a special screening of the first episode. And those same critics got to grill producer Joss Whedon afterwards. The show - created for ABC by Joss Whedon, Jed Whedon and Maurissa Tancharoen – is set in the same universe as creations like Iron Man; it contains the super-human criminals that S.H.I.E.L.D will have to battle each week and takes place after The Avengers’ Battle of New York. "Every week it's not going to be some new hero," Whedon explains. "There could be a device, there could be a mystery.” The show will focus on characters who aren’t blessed (or cursed) with superpowers, rather it will look at the intricacies of teamwork and how the group work together to bring down the threat. Marvel and DC competed for supremacy at the San Diego Comic-Con last weekend. Marvel, through sheer force of films, won. The Avengers, Thor and X-Men appeared with their full casts. DC's Superman caused a stir by announcing the Man of Steel sequel will feature Batman. Marvel dominated the San Diego Comic-Con with their X-Men and Avenger's panels. DC's Superman announced the 2015 sequel to Man of Steel, starring Henry Cavill, would feature Batman. 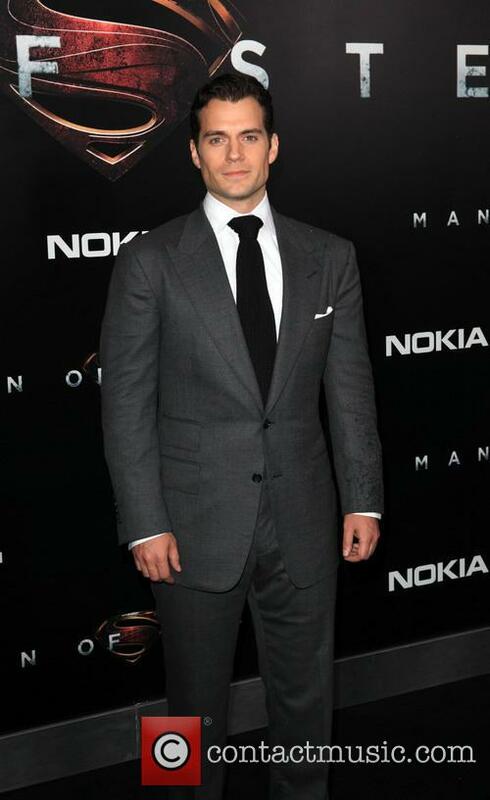 Henry Cavill at the New York premiere of Superman: Man of Steel. The X-Men panel certainly had the most impressive cast turnout. Actors from across the X-Men films appeared to promote X-Men: Days of Future Past, which is due to be released in 2014. Ian McKellan flirted with the younger reincarnation of his character Magneto, Michael Fassbender, commenting on Proposition 8, he said "It's great to be back in California, I feel safe here now." He continued by announcing "I'm looking for a husband", cheekily adding "it's great to meet you Michael". Was Joss Whedon referring to Quicksilver and Scarlet Witch, or someone else? Joss Whedon has hinted that the brother-sister comic book duo of Quicksilver and Scarlet Witch could feature in The Avengers 2. "I've got these two characters, two of my favourite characters from the comic book, a brother-sister act," he told Yahoo at the Iron Man 3 premiere, "They're in the movie." Though he didn't directly reference Quicksilver and Scarlet Witch - and other siblings in the Marvel Universe include Aurora and Nothstar - the brother and sister are considered the most likely characters. Andrea and Andreas von Strucker, the villains collectively known as Fenris, are also twin brother and sister. There had been some speculation as to whether Marvel owned the rights to Scarlet Witch and Quicksilver (given that they're essentially X-Men chatacters) though during an interview with Hey U Guys, studio boss Kevin Feige said, "It's a little complicated. If they want to use them in an X-Men movie they could, if we want to use them in an Avengers movie we could. So that's that then. Despite originating in the X-Men stories, the characters have actually played a central role in many of the biggest Avengers storylines. The question now is of course, who will play the brother sister team? Ryan Gosling? Mila Kunis? Is there anyone left who hasn't yet played a comic-book hero in either X-Men or The Avengers? Stan Lee Media Inc (SLMI) is definitely wishing that Lee had come up with some kind of jurisdictory-super-hero in their many times of need over many years of many law suits... alas, no such entity exists, either between the pages of a graphic novel, comic or indeed in real life. Stan Lee Media, a company that was shut down years ago and is no longer affiliated with Stan Lee, is suing Disney (again) for billions of dollars over a disagreement in regard to the rights to the Marvel characters created by Lee decades ago. Business inside reports that “The company is seeking damages of $5.5 billion for copyright infringement citing Disney's use characters "Iron Man 2," "Thor," "X-Men: First Class," "The Avengers," and "The Amazing Spider-Man" in films amounting to box office receipts of $3.5 billion.” All of this seems fairly legitimate from the outset, however, legally they have no leg to stand on, all due to a small loophole in the law called 'res judicata' which is basically the same as no man 'can be tried for the same crime twice' or indeed more than twice as SLMI have sued Disney and Lee himself numerous times. Given that the Avengers are purportedly owned by Disney, there'll be no-one to avenge the case for SLMI for now. The cast of the upcoming superhero film 'The Avengers' film on location in New York. Chris Evans, Scarlett Johansson and Jeremy Renner are all seen getting into full costume before shooting a scene in front of a green screen. The three actors are all reprising their roles as Captain America, Natasha Romanoff and Hawkeye respectively. Also reprising their characters from previous Marvel movies are Samuel L. Jackson (Nick Fury); Cobie Smulders (Maria Hill); Mark Ruffalo (Bruce Banner/The Hulk); Tom Hiddleston (Loki); Chris Hemsworth (Thor) and Robert Downey, Jr. (Tony Stark/Iron Man). The Avengers will premiere in 2012. Avengers 2 For May 2015 Release? The Avengers All Set To Become A Summer Smash In The U.s.